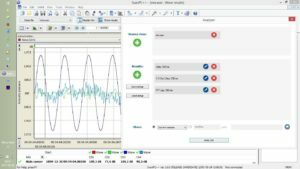 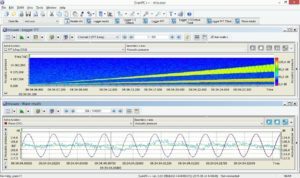 SvanPC++ Wave module is designed for processing wave files from Svantek noise or vibration instruments. 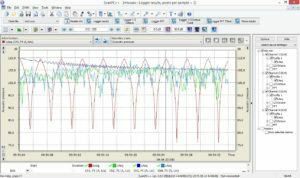 The analysis provides calculation of overall results such as Leq, Lmax, Lmin, Lpeak as well as 1/3 octave and FFT calculations. 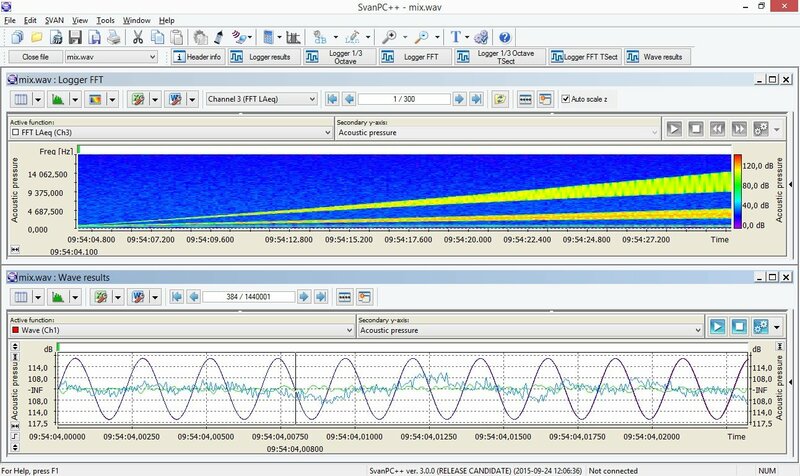 The typical use of the SvanPC++ Wave also supports tonality calculation. 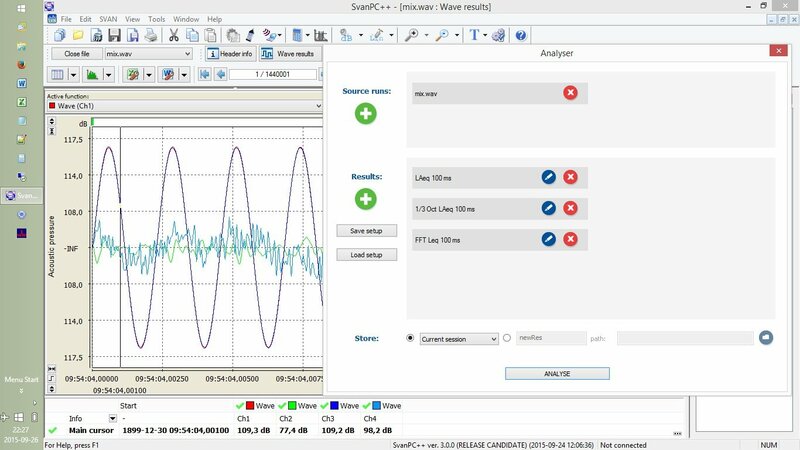 The SvanPC++Wave module is available as the part of the Analyser software kit that extends functionality of SvanPC++ base version. 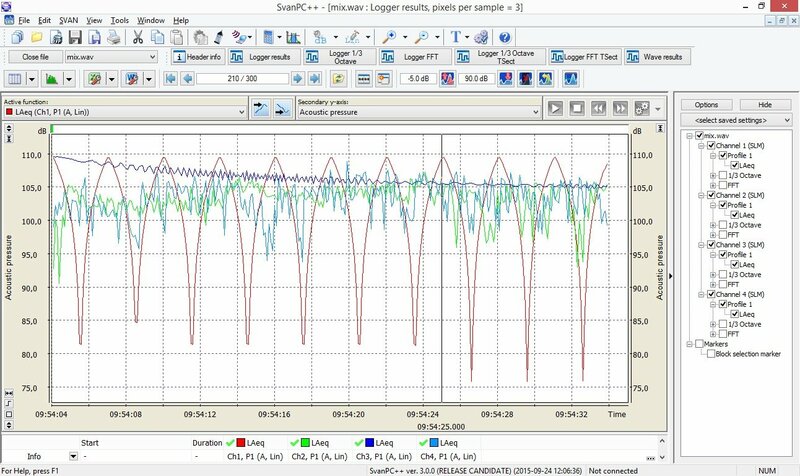 The kit also includes SvanPC++ Environmental Module with its Block/Marker generator and projects manager.